Corom took our 2nd daughter out, then I took my oldest out for our one on one… We had family night and then it was bedtime/story time. 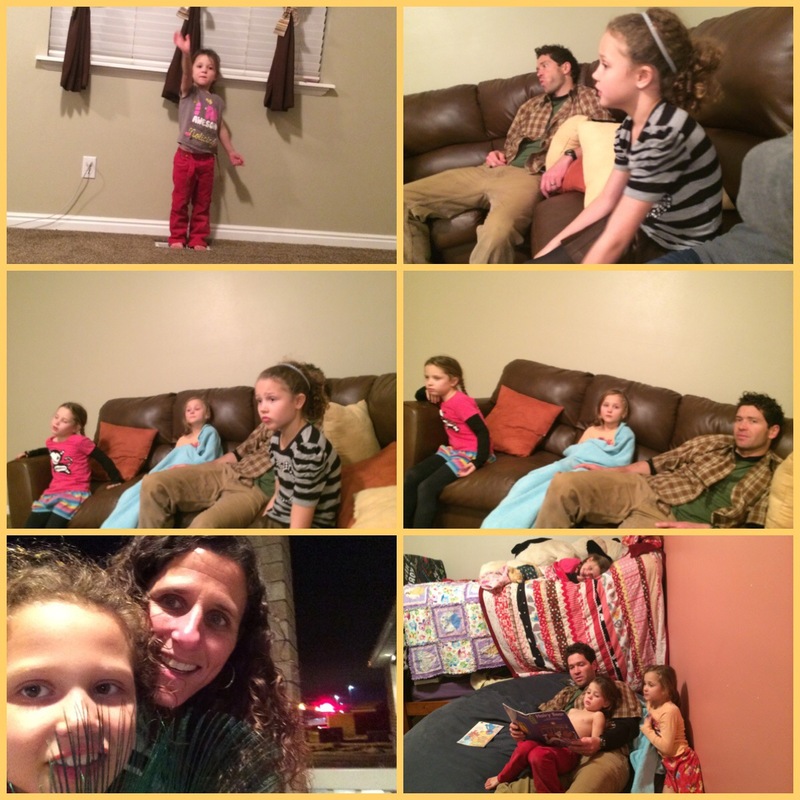 Our normal nighttime routine and once the girls went to bed… I headed over to Stephanie’s house to watch the Bachelor with Camille and Nicole. Yep I like watching that show. It was a late night! 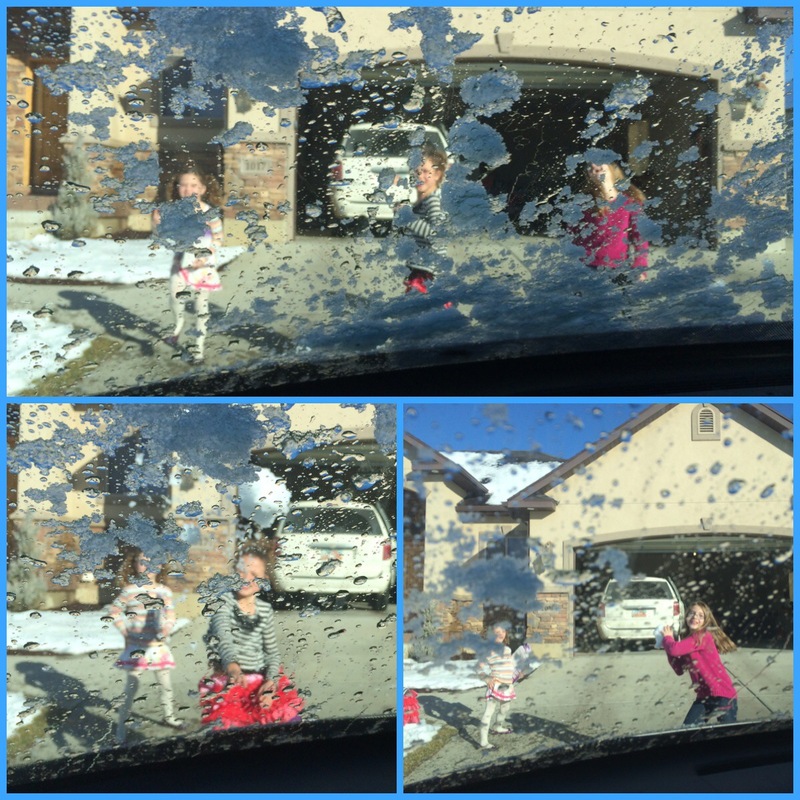 … Until I finally rolled my window up; later it was dinner, homework & bedtime. Corom works late tonight… I attempted watching a movie but was too tired… Off to bed for me. Sometimes the only way I can keep up with my day is if I do the morning run. It sounds like your days can be pretty crazy too. Keep the life balanced and have fun. I hear that! My day is not the same when i dont get a run in!! Everybody around me notices that I am not as nice. 🙂 Running keeps me sane… thanks Kevin, you too! sounds like a hectic but hilarious life you lead!! It is a hectic life but the days i dont have much going on, i get so bored and antsy! So, I know it’s because of my doing that it is go, go, go… 🙂 I think I drive people crazy! busy busy busy! so nice you could be there for your friend, I’m sure she’s so thankful of that!! I used to LOVE having practice/runs inside the high school !! so fun! My life is busy but I may sound weird but I love the business of it. If I don’t have a lot going on during the day, I get extremlly bored! I, too, like in-door track season. 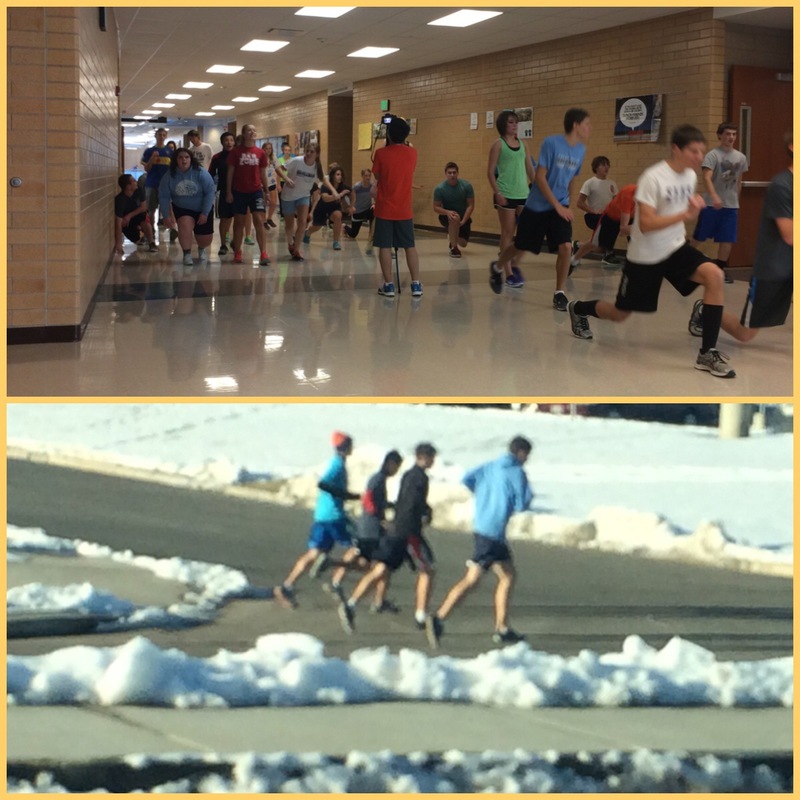 I do have the distance runners go outside about 95% of the time. The few times they “have” to stay in, is hard for them. 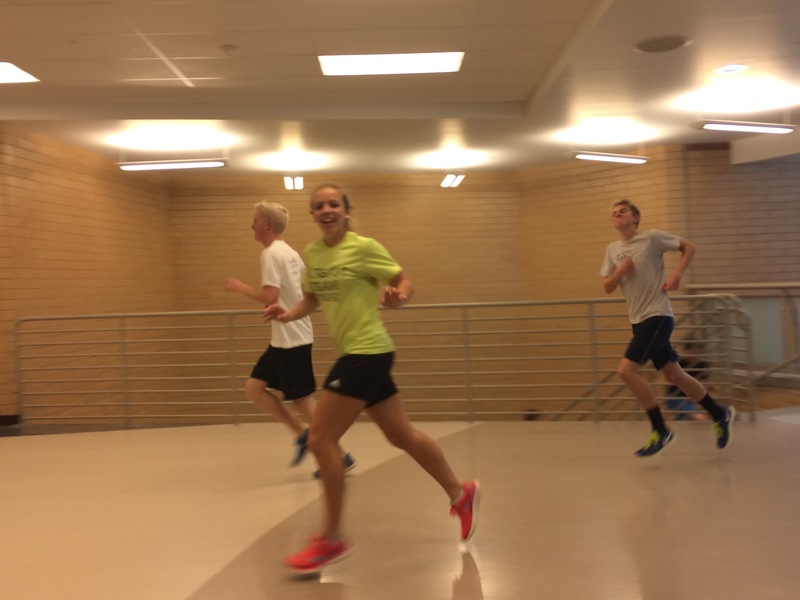 Our hallways are not the most convient to run in… So they run back and forth for their distance run. The sprinters stay in majority of the time. Thanks!